Nancy Bissett is a horticulturist, restoration ecologist and botanist with The Natives Inc., a Davenport, Fla., firm offering services in consulting, ecological restoration, landscape architecture, and a native nursery. As the developer of The Natives nursery, Nancy has experimented with the propagation and growth of many natives plants, including grasses, wildflowers and rare species. 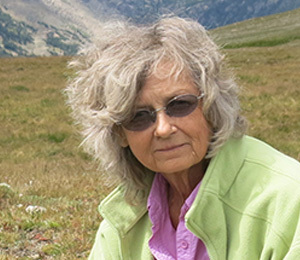 She has developed techniques for restoring many upland communities, including scrub, sandhill and flatwoods, from site preparation and planting to direct-seeding native groundcovers and weed control. Nancy also has developed and enacted direct-seeding projects for state agencies, water management districts, mitigation banks, mined lands, developers and corporations. As a botanist, she has assisted with monitoring research projects for The Nature Conservancy, Florida Fish and Wildlife and others. She has performed various rare plant and vegetation surveys, and also helped federal, state and local authorities find and evaluate rare plant communities.